4QMMT ( Miqtzat Ma'ase ha - Torah [ some works of the Torah ], formerly Halakhic Letter [ halakhic letter ] ) is a plant from the library of Qumran, which is preserved in six fragmentary manuscripts. 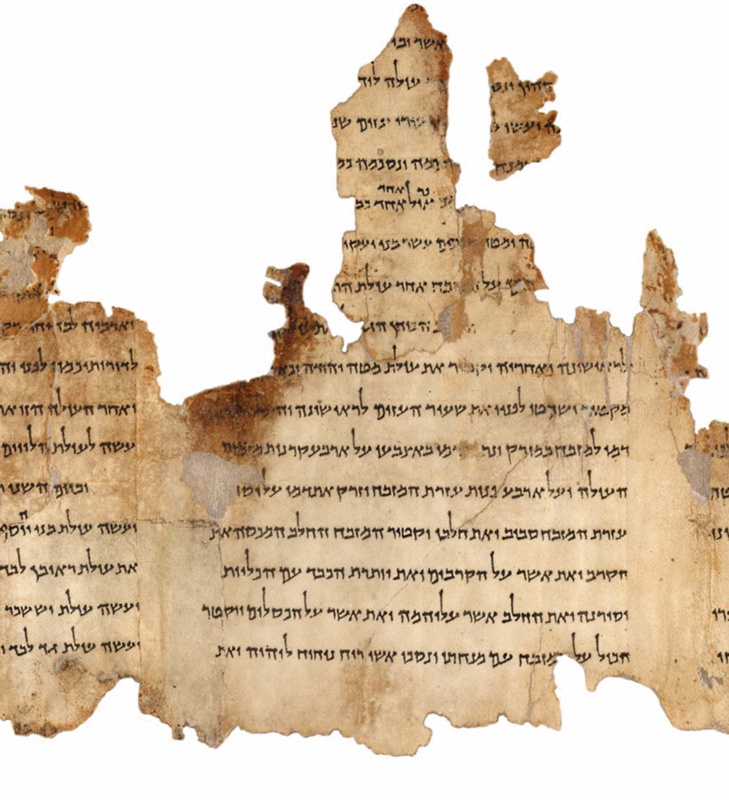 Its contents may give insights into the beginnings of the Qumran community. The phrase " works of the Torah " because of the Pauline theology central, parallel Greek term erga nomou aroused special interest on the part of New Testament scholarship. 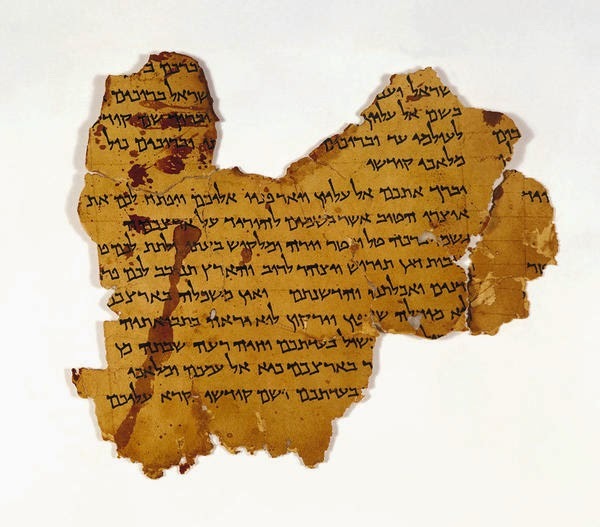 The announcement of the content of the fragments at a convention in 1984 was a major impetus to the debate on the rapid publication of the scrolls from the Dead Sea. 4QMMT was first known only under the title 4QMishnique, under the JT Milik in DJD 3 (1962 ) had quoted from it. At this time were the " six manuscripts of MMT identified, transcribed, reconstructed material and partially joined to a common text". With the publication of John Strugnell was entrusted. However, due to the historical circumstances of time and lack of funding, the research shifted by several years. 1979 learned Strugnell Elisha Qimron know who had finished his dissertation on the Hebrew of Qumran, and referred him to the work with a. As a specialist in halachic questions was later involved Ya'akov Sussmann. At a congress in 1984 in Jerusalem, the contents of a wider public work was presented and attracted due to its importance immediately stir. However, the edition was delayed further, as Strugnell was appointed editor in chief of the entire edition project. In the meantime, Hershel Shanks worried, publisher of the popular science magazine Biblical Archaeology Review, a facsimile edition of the scrolls from the Dead Sea using non-authorized use of preparatory work Strugnells and Qimrons. A lawsuit against Qimrons Shanks for copyright infringement and theft of intellectual property led to a heavy fine and was an example for dealing with copyright issues in the publication of ancient texts. In the summer of 1993, the work of the official editor was finally completed and 4QMMT appeared as Volume X of the series in the Judaean Desert Discoverie in 1994. From 4QMMT there are six manuscripts from Cave 4 Already the number of copies of this work testifies to its importance in Qumran. Manuscript 4Q394, consisting of ten fragments, applies after palaeographic determination as " frühherodianisch ". In the orthography is vulgar spellings show. Manuscript 4Q395 consists only of a fragment and can be classified temporally as 4Q394. Larger text sections provides the slightly younger manuscript 4Q396. The 23 fragments of 4Q397 are the font frühherodianisch after also. Something the frame falls 4Q398, because it's written on papyrus, the remaining manuscripts on leather. 4Q399 is to be described as " mittelherodianisch " and probably the youngest of the six manuscripts. Are preserved on a fragment of three columns, the third column contains only the beginnings of four blank lines. This column II contains obviously - also the content, this suggests - the end of 4QMMT. The work consists of two or three parts. The first part contains calendar data. Called to be the times of the Sabbaths for each quarter and festivals that include known from the Temple Scroll. Each quarter consists of three months to thirty days each, of which each one more day to be added, so that the result quarters to 91 days, thus a year 364 days. The calendar is so respected in accordance with numerous other writings from Qumran a purely solar calendar. However, the beginning of the work is preserved only in a manuscript and formally, the following section looks like a new beginning. It is therefore debatable to what extent the calendrical comments were an integral part of the work. In the second section, a group listed in the plural, some of them followed the religion statutory provisions concerning victims, dining and other purity requirements. The third section mentioned that the group of the sender have separated themselves from the many due to violations of those laws. The recipient of the letter is exhorted to keep the commandments of the Torah. As a warning or belobigende examples him the kings of Israel and Judah are brought to eyes. The language of 4QMMT stands in a peculiar position midway between the Hebrew of the late biblical books and the rabbinical Hebrew, but also differs significantly in terms of the vocabulary of other texts from Qumran. Striking is, among other things, the use of ש as relative particles, but often in the case with subsequent vocal support as שא. According to E. Qimron the linguistic peculiarity can best be explained by that 4QMMT not the typical sectarian sociolect later Qumran texts follows. The work was attributed as almost any other composition from Qumran, the Teacher of Righteousness. Although the plural of the sender is not to be understood as pluralistic majestatis, but the sender may well have been represented by a prominent member of the group. As long as you on a historical figure of a " Teacher of Righteousness " in general holds, it is quite natural to put him with the work in conjunction. Since the addressee be kept in mind as a stark reminder of royal figures, and this is perhaps to think as a ruler. One possibility would therefore be the Hasmoneans Jonathan. 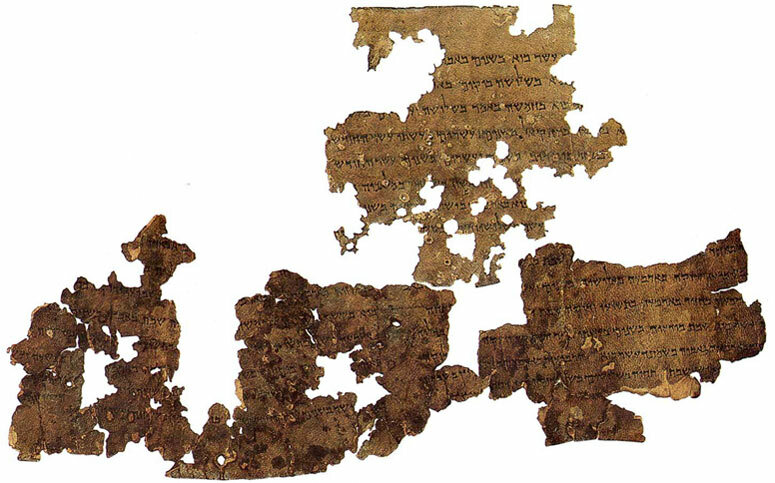 Usually, the beginning of the Qumran community is connected with the acquisition of the dignity of the high priest by Jonathan and the violent removal of the Teacher of Righteousness from Selbiger what the seven-year Intersacerdotium could explain the office of High Priest 159-152 BC. 4QMMT would accordingly have been written yet before. Many of the represented in 4QMMT halachic positions are attributed in later rabbinic works, especially in the Mischnatraktaten Mach Shirin and Yadayim, the Sadducees. This finding should be considered when the usual identification of the Qumran Community and Essenes.